For those of us who shoot Nikons and would like to remember exactly where we took a picture (see last post) or would like to pinpoint photo locations on map services like Google Maps, the Columbus GPS unit for Nikon DSLRs is incredibly handy. I tested mine out for the first time tonight and am very impressed with the ease of use. 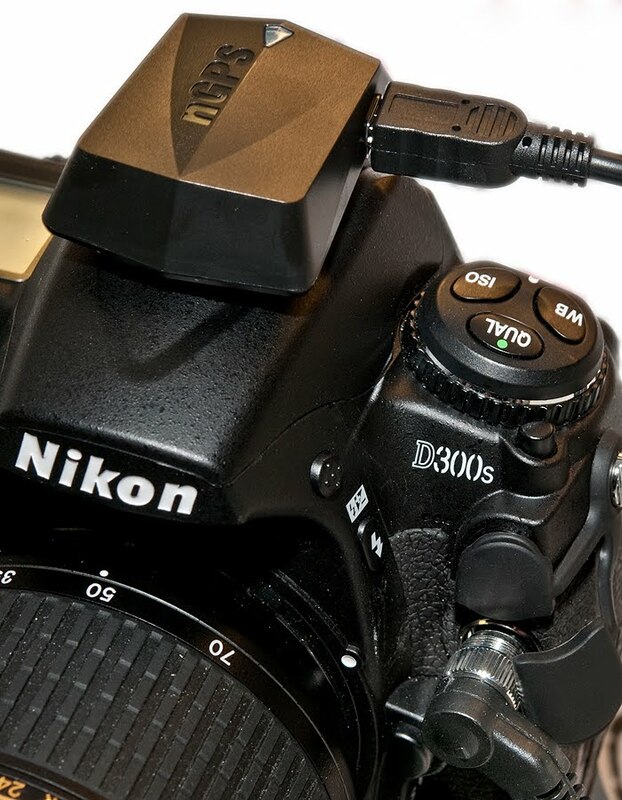 The GPS receiver slides right into the hotshoe of the camera and a short cord connects it to the camera's accesory terminal. Turn on the unit, let it find satellites to communicate and that's pretty much it. 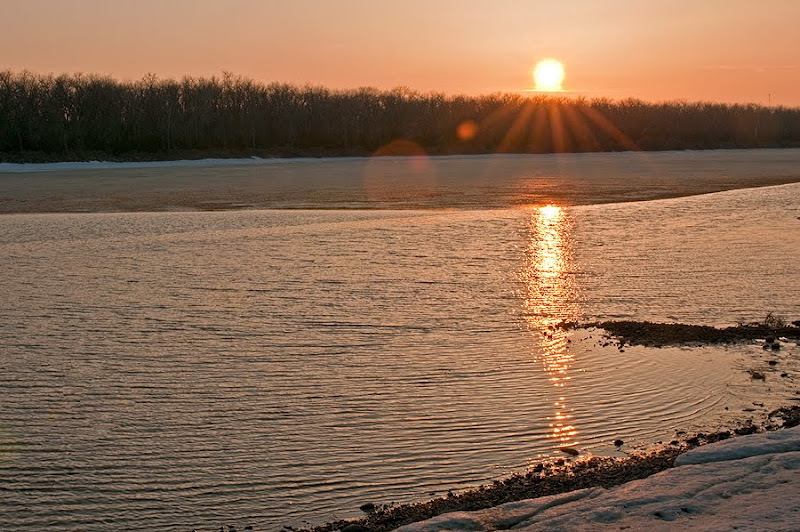 I took this shot of the sun setting over LaFramboise Island in Pierre and instantly the GPS information was displayed on one of the screens in my rear LCD panel. 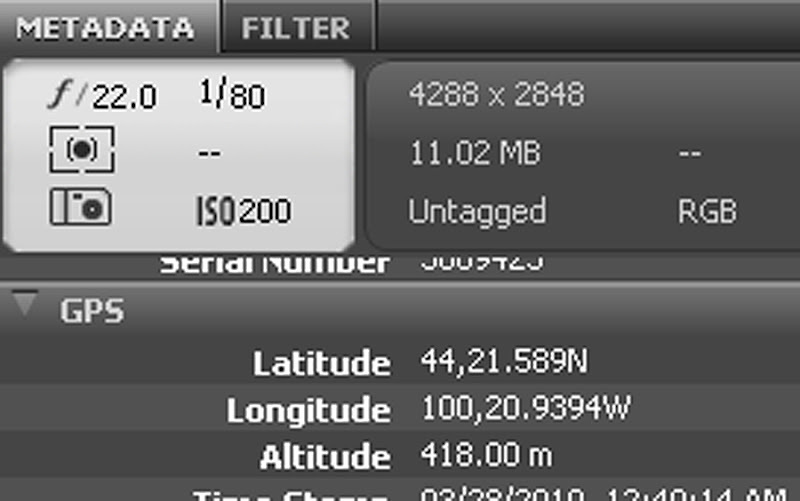 It's also included in the metadata attached to the camera file, which can be read in Nikon's software or as here in Adobe Bridge. From here I can visit Google Earth or similar programs to upload my photo and "geotag" it so that it is pinpointed in the exact spot I took it. Pretty cool, huh? From what I can gather at the Columbus website, they make these units only for Nikons. Cost is just over $100 and they are available at BuyGPSNow. I'm sure there are similar devices for Canon and other brand cameras. I haven't researched it, but I bet you can find them.